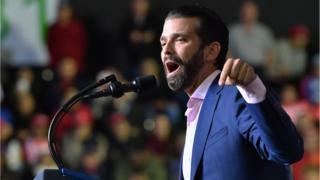 The current deadlock over Brexit and possible delay to the UK’s planned leaving date of 29 March suggests democracy in the UK is “all but dead”, Donald Trump Jr has claimed. Mr Trump Jr, who is the US president’s son but holds no political position, wrote a column in the Daily Telegraph. In it, he criticises Theresa May for having “ignored advice from my father”. Mr Trump Jr added that “the will of the people is likely to be ignored” because of “elite” politicians in Brussels. The American businessman’s intervention in UK politics comes with nine days to go until the UK’s scheduled departure from the EU. Although, Prime Minister Mrs May is writing to the EU to formally ask for Brexit to be postponed, 29 March remains the date the UK leaves the EU unless an extension is agreed before then. The length of any potential delay – which all of the EU’s other nation states would have to agree to – depends on whether Mrs May can get her withdrawal deal approved by British MPs. If she cannot, the delay could be long. 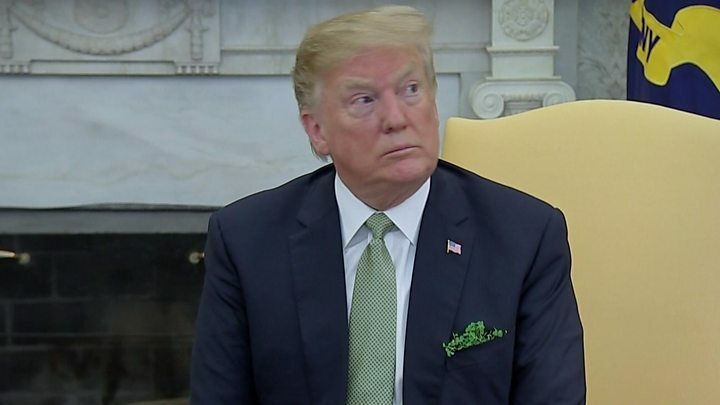 In an interview in July last year, President Trump claimed that Mrs May had ignored his advice by opting for a softer Brexit strategy. And again last week, President Trump – who is a supporter of Brexit – told reporters that he gave Mrs May “my ideas on how to negotiate it… and I think [it] would have been successful”. Mr Trump Jr, who is executive vice-president of the Trump Organisation, added: “Now, the clock has virtually run out and almost all is lost – exactly as the European elites were hoping. “Some pro-Brexit politicians even suggest that Mrs May is trying to sabotage Brexit, by insisting that Parliament agree to a deal that essentially keeps Britain bound to the EU indefinitely. Does the EU guarantee women's rights?